I received this book free from Netgalley in exchange for an honest review. I did not receive any form of compensation. This was the first book that this author has had published. She has also had a short story published. The timeline in this book goes back and forth between present day and the past. 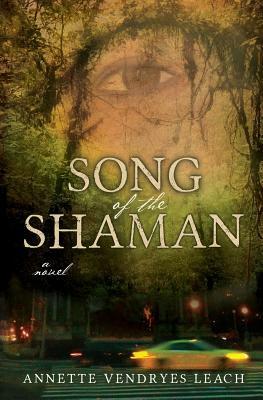 I loved being able to compare and contrast the modern world of today with the shamanic world of the past. As my family’s resident genealogist, I do have to say that you can learn alot about yourself and your parents by learning more about your ancestors. And it is through finding out about her ancestors that Sheri is truly able to discover herself. I love how she found out about her ancestry though. I guess being a pagan and a Unitarian Universalist, I have a much more open mind when it comes to past lives and shamanism. The fact that these were featured prominently in this story was a huge bonus for me. I feel that Annette really did a wonderful job on creating believable characters and a story line that truly engrossed me.